San Francisco’s past as a port city and the waterfront from the days of sail to the Longshoremen era. 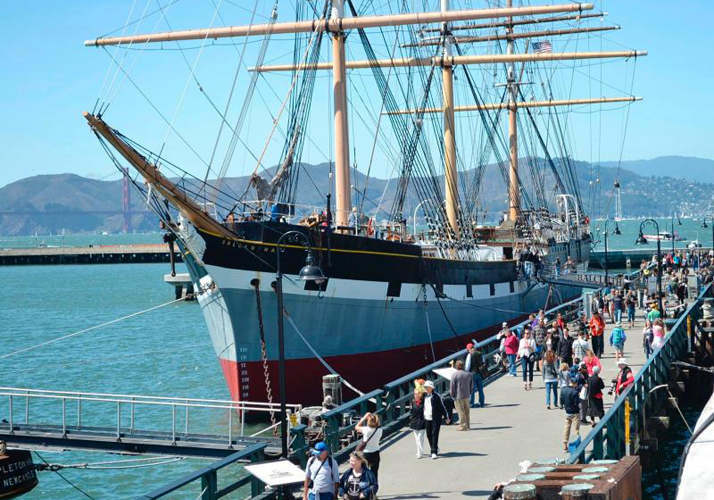 Follow the Great Seawall, San Francisco’s largest public works project, to Fisherman’s Wharf, past two WWII vessels and the Hyde Street Pier, boasting the largest collection of historic ships in the United States. The tour ends at the Streamline Moderne Aquatic Park bathhouse, home to the San Francisco Maritime Museum.